Bûche de Noël is a christmas log. 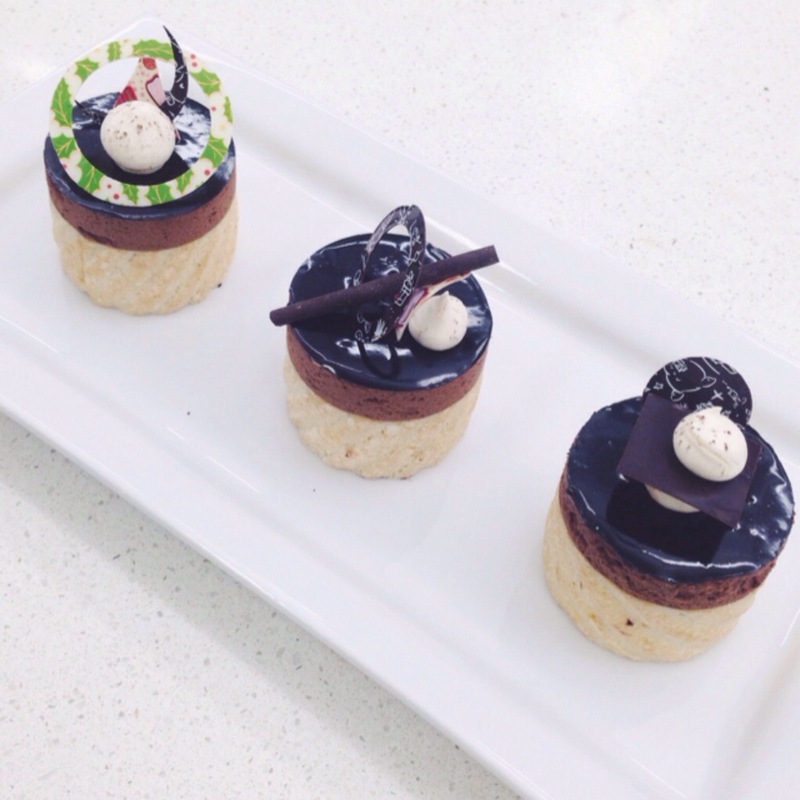 It’s made of almond dacquoise biscuit, layered with cointreau mousse and chocolate mousse. Glazed with shiny chocolate glaze and garnished with meringue mushrooms and some tempered chocolates. You couldn’t really see the layers but the cointreau mousse is on the bottom of the cake. This was the 2nd lesson as Superior student in Le Cordon Bleu New Zealand. I was happy with my product that day because it turned out pretty good. This cake was really nice as it had two different flavours of mousse so that the cake wasn’t really heavy and it balanced the flavour of the cake as well.